Most days they're on the nice list, however, when we race into the kitchen to find that one of our cats has managed to feast upon chicken from the evening's dinner- it's the naughty list for you kitty. Well-loved and well-fed, our cats are often given special, tasty treats to enjoy, while also distracting them from crashing our chicken dinner delights. We recently partnered with Freshpet to treat our cats, Karma and Kismet, to healthy, fresh, real food pet food for cats and dogs. 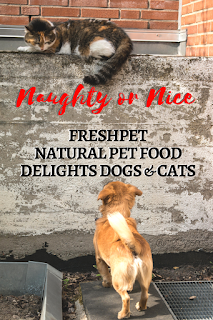 Naughty or nice, Freshpet natural pet food treats delight our little (or not-so-little) fur babies. Thank you to Freshpet and their promotional team for the courtesy of providing promotional products for editorial content purposes. 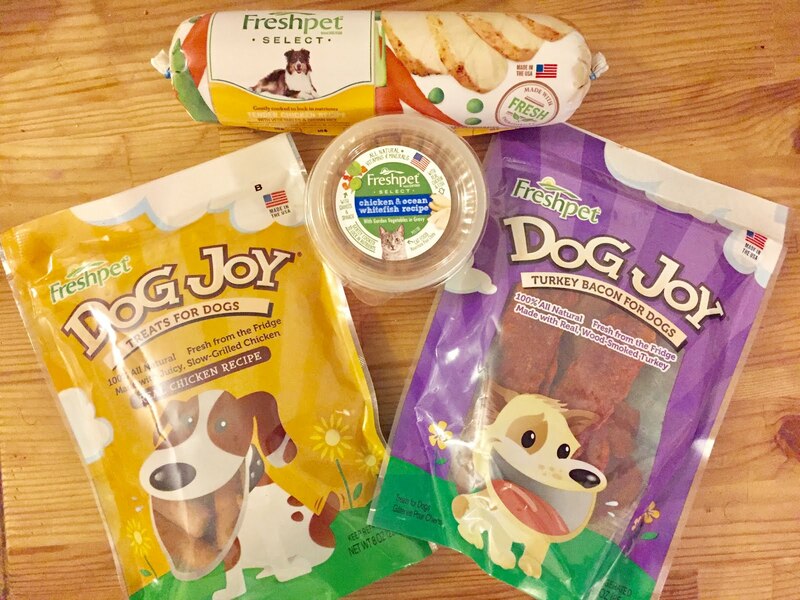 Bringing a new niche to pet care, Freshpet is responsible for changing the pet food market, becoming the first company to make fresh, natural pet food for cats and dogs. 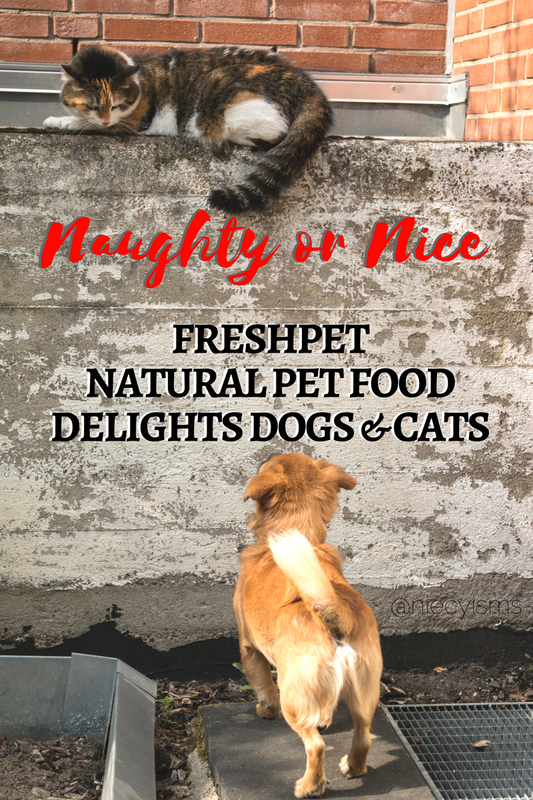 Freshpet features all natural treats and meals for our dogs and cats to enjoy made with only fresh, natural ingredients. "Smoked to perfection, these all natural turkey bacon treats are an absolute favorite of pups everywhere. Made in the USA." "Real chicken and beef sausages sliced thick then baked to perfection, these treats are sure to make your dog bark with excitement. Made in the USA." Health and wellness are essential for our lives, as well as out pets' lives. Freshpet strives to bring wellness to doggies and kitties with natural food providing essential vitamins and proteins. Delicious and nutritious, Freshpet foods and treats are based from fresh meats, poultry and vegetables farmed from local sources. The Freshpet Kitchens prepares the natural ingredients in small batches at lower temperatures to best preserve nutrients and freshness. Dedicated to premium care, Freshpet proudly sources their ingredients, and makes food worthy of Freshpet’s integrity, transparency and social responsibility.